Make your computer faster by upgrading to a solid state drive! ✔️️Make your computer much faster. 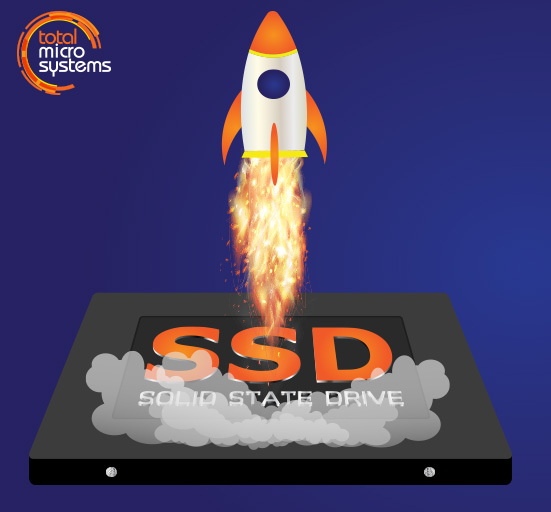 ✔️️More reliable – SSD’s have no moving parts so don’t break like the old school mechanical drives do. ✔️️Hard drives have a 3 year warranty. ✔️️Upgrade carried out by professional techs in fully equipped workshop. Fully labour warranty on all work! ** Conditions apply – see below for details. Upfront full payment required prior to ANY data transfer. Some exclusions apply. Not all computers will be suitable for this specific type of upgrade. This will replicate the current system state. Eg. If you have viruses/software problems, they will be replicated on the new drive. Based on migrating data from a hard drive in good working order only. Customers with drives that have bad sectors or other physical damage may incur extra charges. Drives have a 3 year manufacturer warranty against hardware failure.